I’m an avid reader. I love it. This year I’ve been on the road a lot, which has given me plenty of time to devour many good (and some bad) books. One of my favorite things about the basketball coaching community is that there is a clear desire to improve that every coach I have the opportunity to talk to seems to possess. We are all life-long learners. Not just for improving our basketball knowledge, but for improving other areas of our lives too. Last year, I read fewer books, but they were definitely more basketball-focused overall than this year was. This year I completed about 30 books. I’d say 10 – 12 of them focused specifically on basketball or coaching while the rest were on a variety of other topics. This book is co-written with the previous head coach of the Atlanta Falcons, Mike Smith. It follows Mike’s story of turning the Flacons into a successful NFL team and also what eventually lead to their downfall. It was refreshing to hear both sides of the story since this doesn’t always happen. This is a great book if you want to learn more about culture and how you can develop it within your team and/or organization. The main focus is on the 7 C’s which I won’t give away in this blog post. 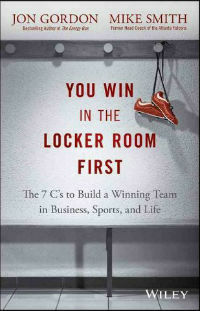 Along with ‘The Energy Bus’, this is my favorite Jon Gordon book. The main focus is on deliberate practice and how talent alone won’t automatically enable someone to be great. Instead, there are a number of things behind the scenes that are much more important to becoming world-class. These include more experienced people you can learn from, the ability to analyze your results and mistakes, and a lot of deliberate practice. 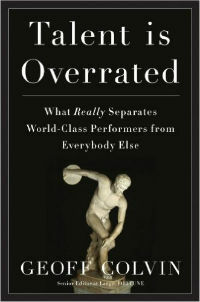 If you want to learn the reality behind what separates world-class performers and the rest, you should read this book. There are a few thoughts of Geoff’s that I do question, but overall this is a great book for anyone looking to be great at what they do. I’ve recommended this book to people more than any other book this year. That alone should say a lot about it. 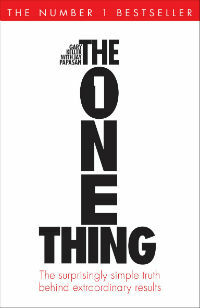 For me, ‘The ONE Thing’ was one of those books that reels you in and doesn’t let go. I read this book in only a couple of days. The overall premise is to identify the one thing you can focus your energy on that will have the biggest impact towards moving you closer to your dreams and goals. The book examines current false beliefs on productivity, the truth about productivity, and shows us how to live a more purpose-driven life. What I love most about it is that it’s a very practical book that you can immediately apply to your life. 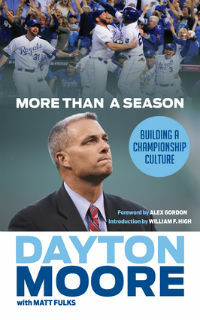 ‘More Than a Season’ is another terrific book on culture that I read this year. It goes in depth on the process of building the Kansas City Royals into a championship team. It’s not just a book for baseball fans (I’m not one), there are many principles explained in the book that any coach can take away and improve themselves and their team with. This is one of those books that I believe everyone will take away something a little different. For me, it was the focus on leadership. This book will change everything you believe in regards to motivation. Daniel emphasizes the importance of intrinsic motivation as opposed to the ‘carrot and stick’ method that is commonly used today. I did find this book to repeat itself a little too often, but that doesn’t take away from the importance of the overall message. It’s definitely a business-orientated book, so if that’s your thing I advise you to check it out. Probably my favorite basketball book I read in 2015. This book follows a coach by the name of Joe Keller. The story takes us on a journey as Joe exploits a group of young boys (specifically Demetrius Walker) in order to gain recognition and build his own reputation. 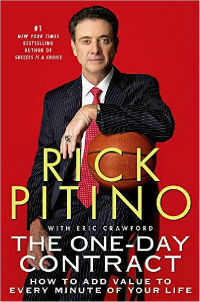 Quick warning: If you care more about your players than money, you’re going to be really angry and disgusted while reading this book. An incredible insight into just how competitive grassroots basketball is due to adult competitiveness and ego. An eye-opening book that needs to be read by every coach, parent, and everyone else associated with youth sports. I’ve listened to mixed opinions on this book while discussing it with friends. But I really enjoyed it. 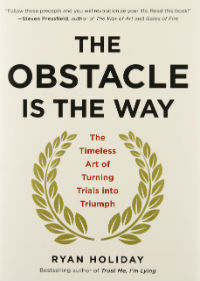 The book focuses on how people facing adversity can overcome it and succeed. How to turn a problem into an opportunity. Basically, obstacles are a good thing. They force us to grow and learn. Using historical examples, this book shows you how to get back up and taking action after failures and setbacks. Pete Carroll is one of the great coaches we have around today. While I didn’t find anything groundbreaking in the book, it’s able to convey some basic principles in an easy-to-understand way. 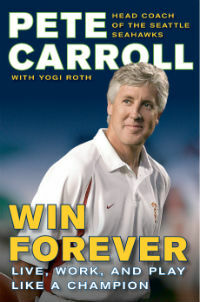 The book takes us through the process that Carroll used to define his own philosophy and how you can do the same. I love his message to ‘always compete’ which is something I completely believe in. A good book for all coaches regardless of the sport they coach. This book was recommended to me by a friend. As far as I’m aware, it’s not a very popular book, but I really enjoyed reading it and I’d recommend it to others. 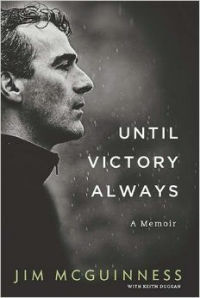 Jim McGuinness was the manager of the Donegal football team between 2010 and 2014. At first, they could be described as a ‘joke’ of a team, they were a 3x championship team when he departed four years later. To be honest, I didn’t exactly learn too much from the book, but I was captivated by the story of overcoming adversity and incredible determination. I love sports books where the author holds nothing back and tells all. This is one of them. This was one of the last books I read in 2015 and it didn’t disappoint. Speaking often of the Marine Corps, this is a great book on leadership and why leadership is so important to an organization or team. 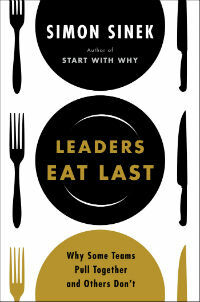 Simon provides many examples of good and bad leadership in the past and how we can learn from them. If you’ve ever wondered why some leaders succeed and others don’t, read this. I especially enjoyed reading about ‘happy chemicals’ (dopamine, serotonin, endorphins, and oxytocin) and how they affect all of us. The idea behind this book is to treat each day as if you’re on a one-day contract. 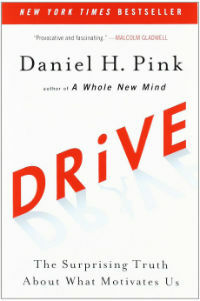 After finishing it, I’ve recommended the book to a couple of younger men specifically for his advice on distractions. There’s a great chapter in the book on technology and how we should not allow it to control our lives or distract us from what’s important. Although I found the book to be a little ‘all over the place’ at times, there are plenty of valuable life-lessons within the pages. As you can probably see now, I read a lot of books from different sports this year which isn’t typical for me. How could I pass up an opportunity to learn from Urban Meyer? 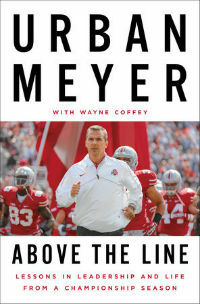 Coach Meyer’s book shares insights on leadership and how to best go about creating a great team. Creating a winning culture is a huge emphasis. As with most of the books recommended above, the principles in the book can be used to improve many areas of your life. An inspirational read… especially if you’re a big football fan. This book was published way back in 2004 and I can’t believe I haven’t read it before this year. 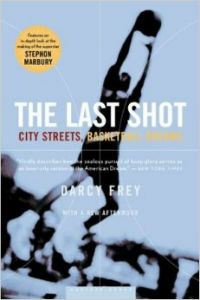 The Last Shot follows four teenagers from Coney Island (including Stephon Marbury) as they struggle to escape from a rough neighborhood and make it to college and potentially the NBA. It portrays just how easy it can be for a young man to get caught up in drugs, crime, and violence. A great read. 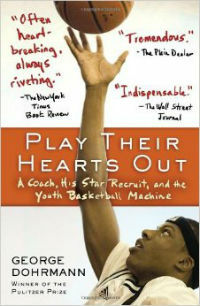 If you’re a fan of Hoop Dreams, you’ll definitely love this book. I’ve included Brian’s book as a bonus to the thirteen books above because, unfortunately for me, I haven’t had a chance read it yet. 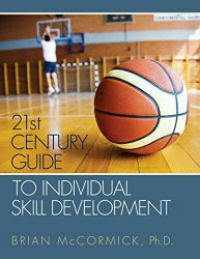 Having read one of his other books, I know there will be a lot to learn from his guide to skill development. It’s next on my list of books to read! It should be on your list too. Unfortunately, there are a few books I couldn’t read simply because they weren’t available on the kindle and I wasn’t anywhere that I could get a copy locally. Disclaimer: All the above links are affiliate links. If you do buy one of the books above I will receive a small commission at no extra cost to you. This money goes toward improving the blog. 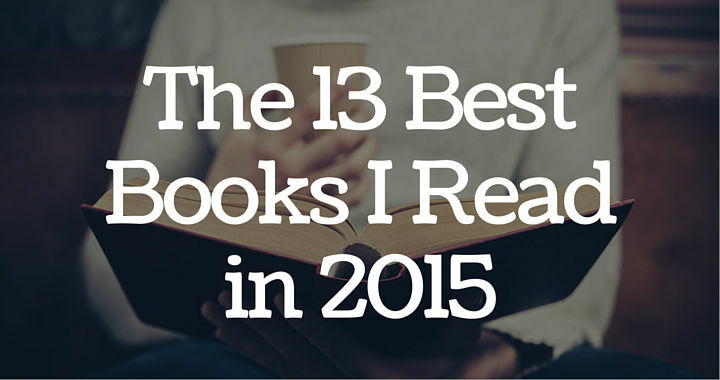 What was your favorite book you read in 2015?